We are still developing crystals and their features! 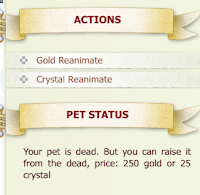 In the most recent update, an option to reanimate your pet for 25 crystals has been added. 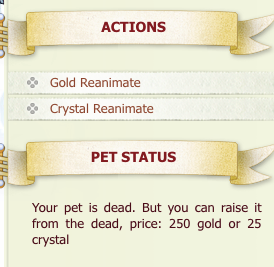 Alongside this, the cost of reanimating your pet for gold has been reduced from 275 to 250.